Our aim is always to ensure that each and every day is very special for everyone. Attention to detail is very important to us, we are continually seeking ways to try and make things better for our valued guests. We are enthusiastic about what we do and giving our guests the best we can comes at the top of our list of priorities. 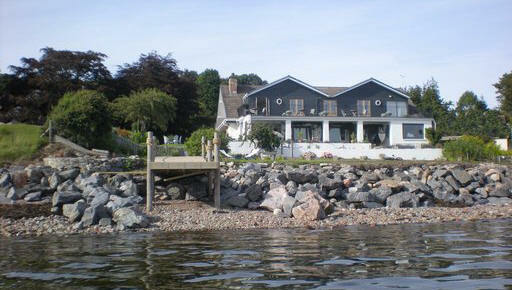 Water's Edge is a truly beautiful house in a most enviable position, on the sea shore, from all our rooms there are breath-taking views over the sea, a garden path goes down to a pebble beach lapped by the clear waters of the Moray Firth, it is idyllic.... truly a once discovered, never forgotten place to stay.